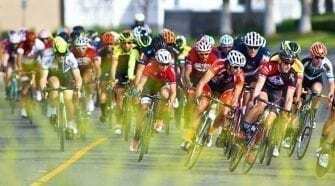 The 2018 USA Cycling Amateur Road National Championships concluded with Criteriums. 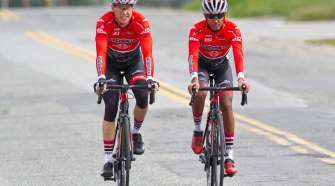 Talented cyclists from across the country and Southern California competed for the Championship titles and the prestigious Stars ‘N Stripes jersey. Both Megan Jastrab and Justin Williams brought home two jerseys each with wins in the Road Race and Criterium. 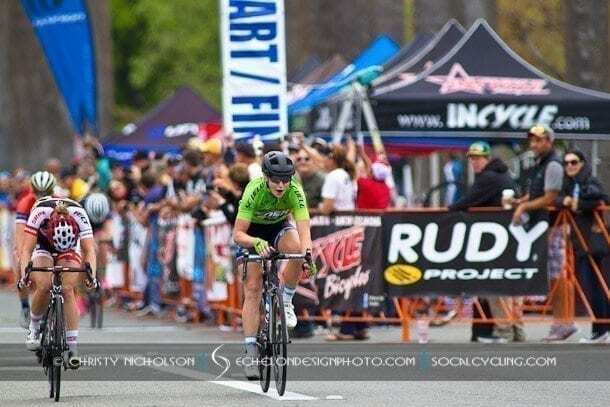 USA Cycling reported – 13-14 Women’s Track National Champion, Chloe Patrick (Carson, Calif./Team Velosport Junior & U23 Development Team) added another jersey to her collection, winning the women’s 13-14 criterium event. Yesterday’s road race champion in this age group, Marissa Carter (Saint Charles, Mo./Team Mack Racing), took the second step on the podium. Elizabeth May (Suwanee, Ga./Frazier Cycling Juniors) received the bronze. Megan Jastrab (Apple Valley, Calif./iCademy) was another rider adding to their jersey collection on Sunday. 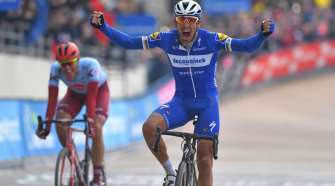 After winning the road race on Saturday, Jastrab went for the double and won the criterium for the women’s 15-16 age group. Olivia Cummins (Fort Collins, Colo./ Melton Design Build/Cari Higgins Real Estate Cycling Team) took the field sprint to capture the silver and Kaia Schmid (Marblehead, Mass./New England Devo p/b Cadence Wealth Management) was right behind her, taking third. Riley Sheehan (Boulder, Colo./LUX/Sideshow p/b Specialized) upgraded his silver medal from 2017 in the 17-18 Men’s criterium, claiming the gold this year. Ryan Jastrab (Apple Valley, Calif./iCademy) was right behind Sheehan, and took the silver. Aidan Coats-Ballaseux (Denver/Prestige Imports/Porsche/Audi Race Team) took home the bronze. For the U23 Men’s race, Gage Hecht (Parker, Colo./Aevolo Cycling, Inc.), won the stars-and-stripes. Quinten Kirby (San Diego/Marc Pro Cycling Team) was second, and Scott McGill (Fallston, Md./Gateway Harley-Davidson) was third. 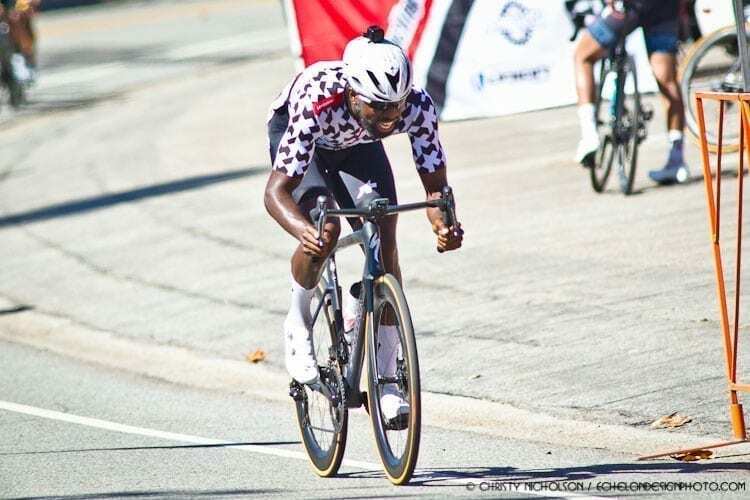 Justin Williams (Los Angeles/ENDO CONCEPT TEAM) went two for two this weekend, grabbing both the road race and criterium titles for the Category 1 Men. Frank Travieso (Athens, Ga./Team United Healthcare Georgia/706P) took silver in the Category 1 criterium, and Samuel Boardman (Washington, D.C./Marc Pro Cycling Team) rounded out the top three.